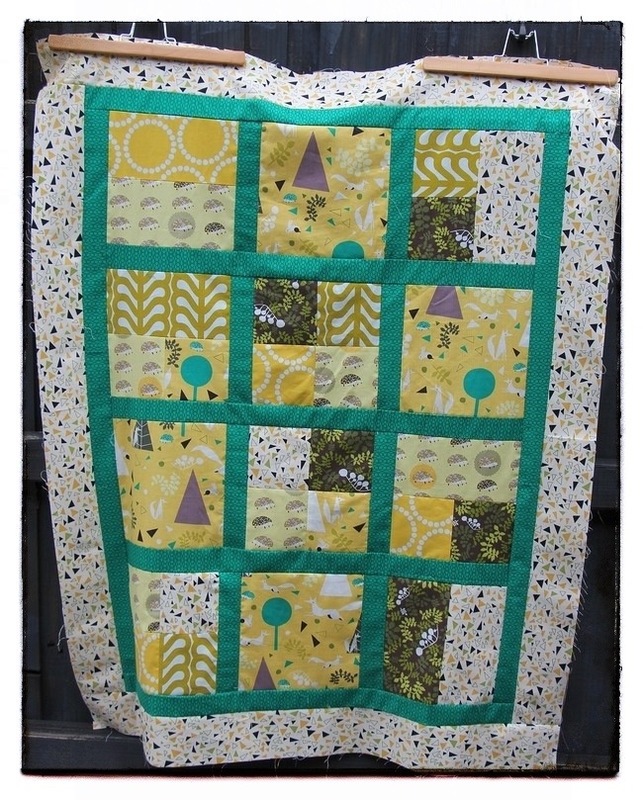 The first time I saw Outfoxed by Lizzy House I knew I had to make a quilt. I find a simple pattern in a quilting magazine that would feature the prints, then hastily ordered my fabric. A few months later I began to doubt that my fabric was ever going to arrive, so I ordered it again. Two weeks later both orders arrived, the former having passed through every country possible as ‘Australia’ was missing from the address. Alas three months had passed and my excitement for this quilt had been replaced by excitement for Christmas sewing and the fabric sat in my stash. A few months back I cut the fabric out and this weekend I finally sewed the top! I am so happy with how it looks. I’m a bit scared to quilt it in case I make a mess! That looks gorgeous! 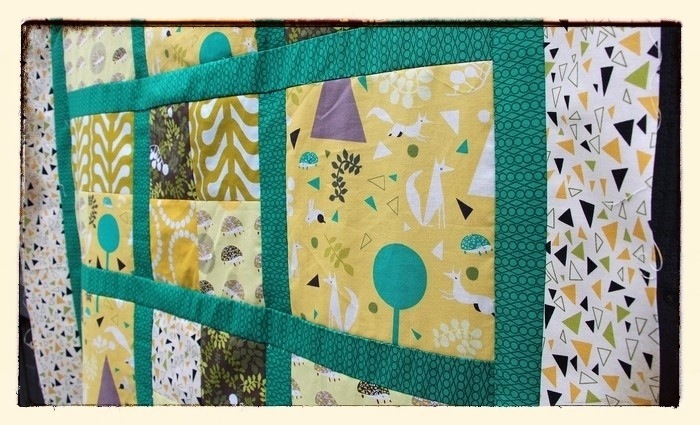 How do you think you’ll quilt it? I agree that for me, quilting is the scariest part! I’m going to have my Dear Janes sent off for professional quilting (if I ever finish!) because I’m not game enough to try on those myself!